Learn more about cabinets at A Plus Warehouse. The Big Blue 24 Bin Narrow Wall Mounted Cabinet is both a part of the Big Blue line and the wall mounted cabinet line. Both of these lines are extremely popular, so a combination of the two can only be better! Today’s product of the day is an item that is easily skipped over at first glance. That is actually the way it is with most of A Plus Warehouse’s product of the day. The company, however, tries to pick out a great item from the website that would otherwise be overlooked for product of the day. The goal of the product of the day is to introduce customers to a wide range of products. A Plus Warehouse announces a product of the day everyday, including weekends, without failure. The company also attempts to evenly distribute the product of the day between the different sections. A type of locker may be product of the day one day and a self-dumping hopper the next day! Anything on the website is in play. 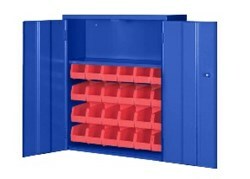 Today’s product of the day is the Big Blue 24 Bin Narrow Wall Mounted Cabinet. According to Ed Stairman, president of A Plus Warehouse, "The Big Blue 24 Bin Narrow Wall Mounted Cabinet is both a part of the Big Blue line and the wall mounted cabinet line. Both of these lines are extremely popular, so a combination of the two can only be better!" As Ed mentioned, this product is both in the Big Blue and wall mounted cabinet line. A Plus Warehouse’s Big Blue line has been extremely popular since its beginning. Big Blue items are all heavy duty and extremely attractive. The company has Big Blue lockers and cabinets. They are also available in a rainbow of colors. These colors include white, light blue, orange , beige, yellow, vista green , dark brown , grey, red, black , dark green , putty , and the standard dark blue. It is odd to have so many color options. This is a major reasons customers like Big Blue products. 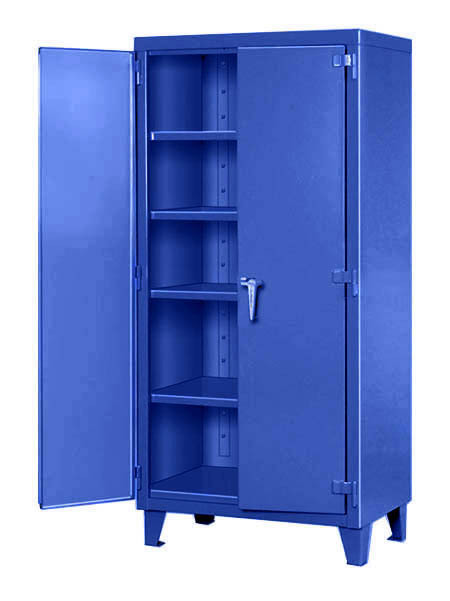 The Big Blue 24 Bin Narrow Wall Mounted cabinet is a great bin cabinet. The item is shown in the picture to the right. 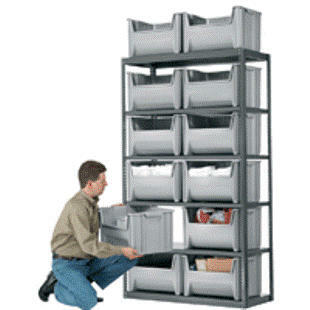 The product keeps items secure and includes 24 bins and one shelf. This product can also be bench mounted. Doors are also secure by cylinder lock. The product is all welded 20 GA steel. 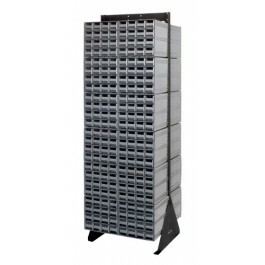 It is strong and sturdy, customers should order this bin cabinet today.